When the instant coffee powder is not enough to satisfy your caffeine craving, the coffee maker is the solution. There are many types of coffee makers available, even for home baristas with minimum coffee-making experiences. 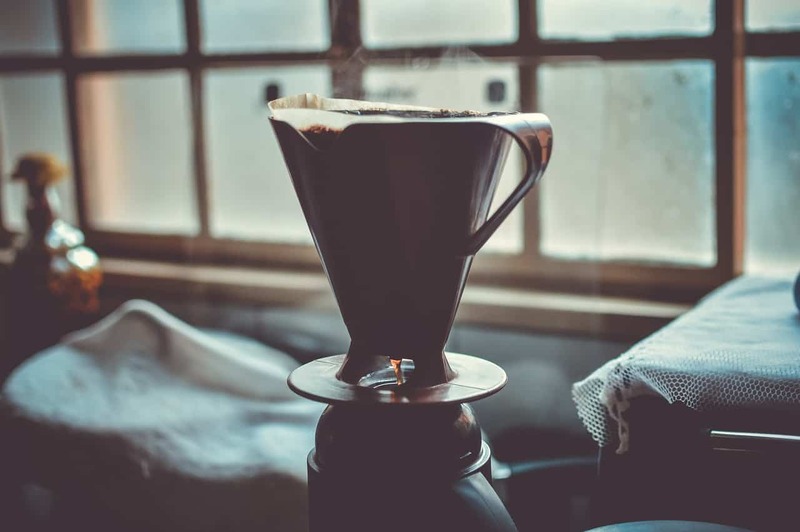 From the simplest espresso maker to high-tech brewing machine, here are 15 coffee maker types and their characteristics. Moka pot is popular among outdoor enthusiasts. It uses a simple pressure mechanism to create espresso. The pot consists of three rooms, with a coffee chamber located between the top and bottom. You place the pot on top of stove or fire after filing the bottom chamber with water. Vietnam drip is a small coffee maker used to make a single coffee serving. It has a steel filter and a ground coffee chamber. After pouring hot water, you place the coffee maker on top of a glass. Wait until the slowly-dripping coffee fills the glass. Percolator coffee maker is shaped like a large pot. It has a drip brewing mechanism, but it provides hotter water temperature compared to many drip machines. Some percolator can make 50 to 100 cups of coffee at once. Cold drip is a coffee-maker to make iced coffee. Instead of pouring hot coffee over ice (which dilutes the flavor), cold drip uses slow drip method. The result is a perfect cold coffee that retains its flavor. It takes around six to 24 hours to make a cup of coffee. Manual drip brewer is like cold drip, but it is used to make hot coffee. You make the coffee by continuously pouring hot water into ground coffee on top of the pot (separated by filter paper). It produces great coffee when made correctly, but the process requires patience. Automatic drip brewer is perhaps the most common types of coffee machines. You can find it in houses, restaurants, offices, diners, and hotels. Once turned on, it will bring hot water into the ground coffee chamber, producing coffee drips. Some are cheap and simple, while others have sophisticated features. French press is one of the most popular types of coffee makers. You make coffee by pouring ground coffee and hot water to the pot. Let it steeps for four minutes before pressing down the strainer slowly. The method is practical, and the result is a bit grainy but strong. Ibrik is a traditional coffee maker from Turkey that produces strong, single-serving coffee. You place the pot on the heat and pour water into it. Add coffee and sugar and heat the water until it is near boiling and you see foam rising. Repeat until it foams three times. Dallah is an Arabic coffee maker shaped like a large jar with a thin neck and curved beak. It is used to make simple, manually brewed coffee. Typical preparation uses hot water, ground coffee, and spices such as cardamom. The siphon is a unique coffee maker that uses the steeping method. It has two separate glass chambers, where you put water into the bottom part and ground coffee in the top. Heating the water results in a pressure that forces hot water to drip into coffee. An automatic espresso machine is popular among coffee shop owners, but small versions are available for home baristas. Many come with milk heater and foam-maker to create espresso drinks, like café latte and cappuccino. Coffee purists don’t like it, but it is perfect to make coffee drinks conveniently. This pressure coffee maker is chosen by coffee purists because they are free to determine the water, coffee consistency, and pressure power. A manual espresso maker is not ideal to make multiple cups of coffee. However, the resulting coffee is rich and strong. If you are concerned about chemicals inside coffee beans, AeroPress is an ideal option. With this espresso maker, you manually press hot water with a strainer. It forces the water to go through the ground coffee quickly. The result is strong coffee with fewer chemicals from the processed beans. Capsule coffee machine is used to make coffee with “capsules” (small cups that contain single-serving ground coffee). Practically making flavored coffee is perfect. Depending on the manufacturers, you can buy capsules of caramel coffee, café latte, cappuccino, hazelnut coffee, and even tea or chocolate. Combo coffee maker combines several coffee-making methods in one appliance. For example, some machines can make coffee with capsules and drip brewing. These coffee makers are available in various sizes. You can choose based on the types of coffee pots or cup sizes you have. Aside from these “typical” coffee makers, technology has created a more sophisticated coffee-making appliance. In 2015, Italian coffee maker manufacturer Lavazza partnered with aerospace engineering Argotec to create ISSpresso. This espresso maker can make a perfect cup of coffee in space. When choosing coffee maker, budget and quantity should be the priorities. Capsule coffee maker or AeroPress, for example, is perfect if you only make a few cups for yourself. On the other hand, a large percolator is more suitable if you often entertain guests and must serve much coffee. There are many good coffee makers with price tags under USD100. You can get a moka pot, French press, a one-serving coffee brewer, or a simple espresso machine. A budget of USD100 to USD150 will get you more than decent coffee maker for home use. Consider other coffee-making tools such as grinder and filter paper when calculating the budget. Consider your daily activities. If you are often distracted, a coffee machine with automatic turn-off and alarm functions will be useful. If you are a coffee purist who loves experimenting, try buying a manual espresso maker or a coffee machine with sophisticated features. These types of coffee makers offer unique appeals to different types of coffee drinkers. There is no “ideal” coffee maker because each product fits specific needs. Make sure to understand what you want as a coffee drinker before shopping.